A humidifier is one of the basic things that you should have to ensure maximum comfort in your home, especially in your baby room. However, it is also important to have a high quality on like the Honeywell Germ-Free Cool Mist Humidifier, HCM-350. 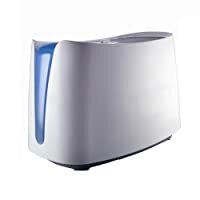 This modern humidifier uses UV technology to get rid of 99% of germs such as mold, fungus, and bacteria. The larger 1.1-gallon tank capacity gives it the ability to run for up to 24 hours on a single fill, and it is up to 25% quieter than the typical evaporative humidifiers. A humidifier is one of the basic things that you should have to ensure maximum comfort in your home, especially in your baby room. However, it is also important to have a high quality on like the Honeywell Germ-Free Cool Mist Humidifier, HCM-350. 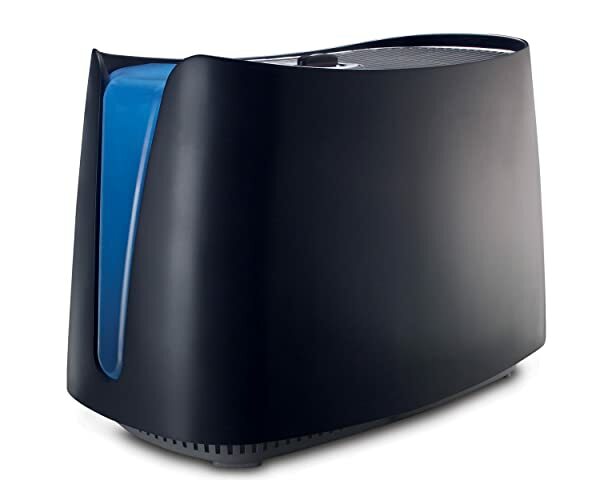 This modern humidifier uses UV technology to get rid of 99% of germs such as mold, fungus, and bacteria. The larger 1.1-gallon tank capacity gives it the ability to run for up to 24 hours on a single fill, and it is up to 25% quieter than the typical evaporative humidifiers. The self-regulating system adjusts the output naturally to conform to the level of moisture that the air can hold, and its removable parts are dishwasher safe to make maintenance easy for you. UV Technology: UV technology helps to kill 99% of bacteria, mold, and fungus. And so with this machine you get not only moist but also germ-free air. Water Tank: It comes with a 1.1-gallon tank that will offer you 24 hours of continuous operation without having to refill. The water tank is also break-resistant, and it has a wide opening that makes it easy to clean and fill. Antimicrobial Filter: The replaceable filter will get rid of microbes and other harmful agents in the water and hence ensuring that the machine produces safe mist. QuietCare Performance: Honeywell HCM-350 is up to 25% quieter than other humidifiers on the market. Moisture Quality: It emits scentless and invisible moisture that will help to relieve the discomforts associated with dry air. Dishwasher Safe: The removable parts are dishwasher friendly, and this makes maintenance of the machine easy and fast. Self-Regulating: It has a self-regulating system that will adjust the output naturally according to the amount of moisture that the air can hold. Despite being a cool mist humidifier, it does not change the temperature of the room. It is easy to install and use even without prior experience with similar machines. The filter is high quality and will not require frequent replacement. It has a quiet mode of operation, and so it will not disturb your sleep. The tank is easy to refill since it can sit in the sink and it does not tip over. This humidifier has dishwasher safe parts, and this makes maintenance easy. This machine is a bit large, and so it will take up more space in your home. It has no noticeable UV light, and this is contrary to the manufacturers claim. Honeywell HCM-350 does not have a humidistat, and it has a large footprint. The humidifier does not have an automatic shut-off control feature. 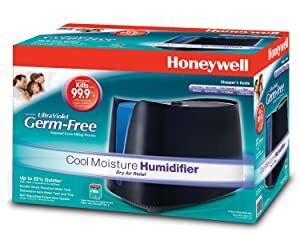 Honeywell is a leading brand in the manufacture of humidifiers, but the HCM-350 is one of its most successful brands. And this is due to its ease of maintenance and cleaning, effectiveness and also the fact that it has several useful features. It is a sound machine, and so you can hardly see any shortcoming with it. The fact that it comes from a reputable manufacturer should be enough to motivate you to buy this best humidifier for baby, but if it is not sufficient, then its many features and effectiveness should be. It also has a fair price tag and so comparing the pros and cons you will see that it is a sound investment for your baby.